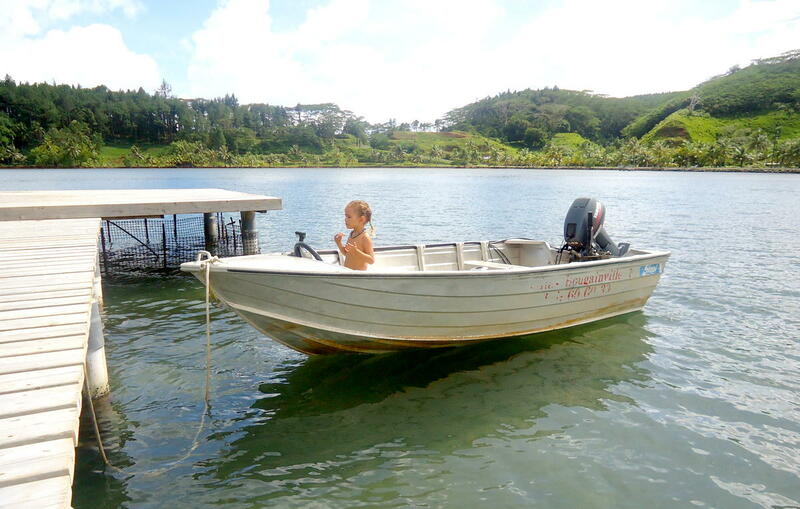 a motor boat on our private pier (with the package Villa + Car + Boat). 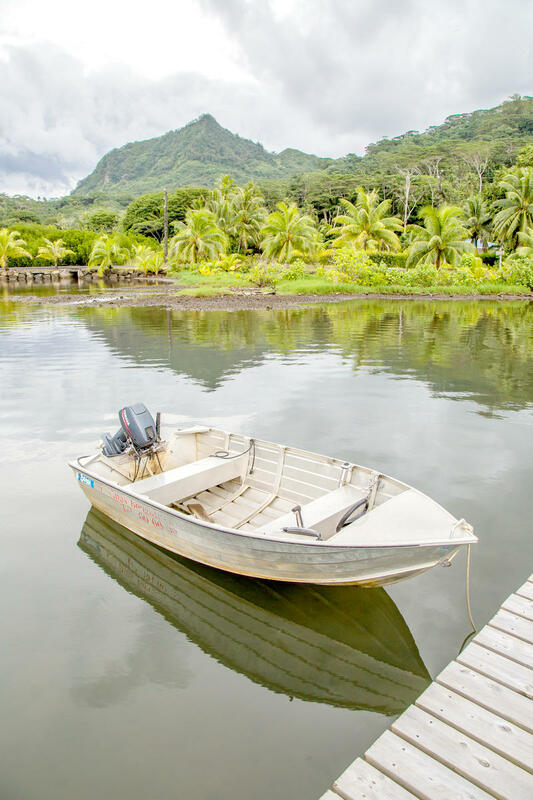 Huahine, the Wild Island is 30 minutes by plane from Papeete and 15 minutes from Bora Bora. 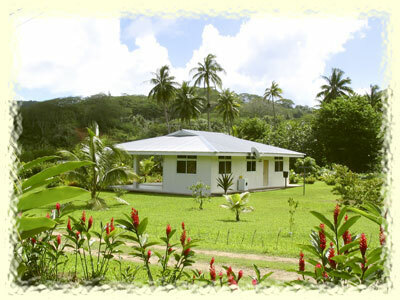 Villas start at 1000 sq. 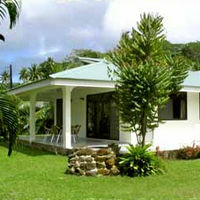 ft. and are located in a well maintained garden on 2 acres of land. 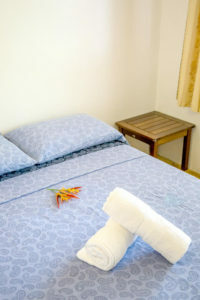 Private bathrooms with hot water, washing machine, clothesline, household linens, etc. Note : there is also a baby sitter available for an extra charge. A motor boat with 9.9HP or 15HP motor with steering wheel, life jackets, gas can, fishing rod holder… (only with the package Villa + Car + Boat). 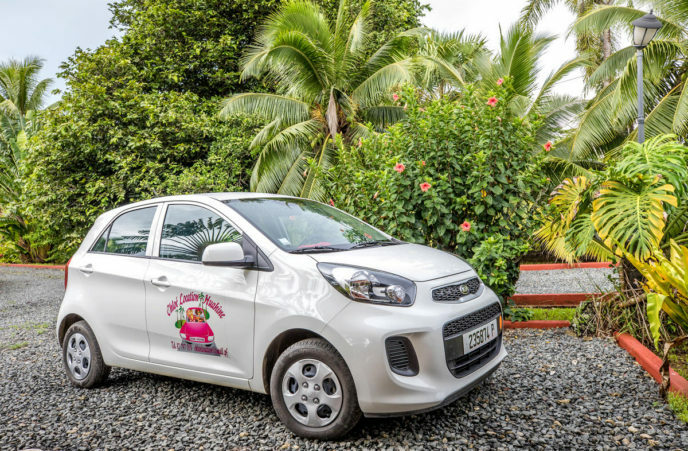 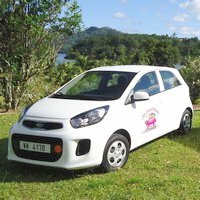 In short, each villa rental package comes with 1 accomodation (villa) and 1 or 2 vehicles (a car and optionally a boat). 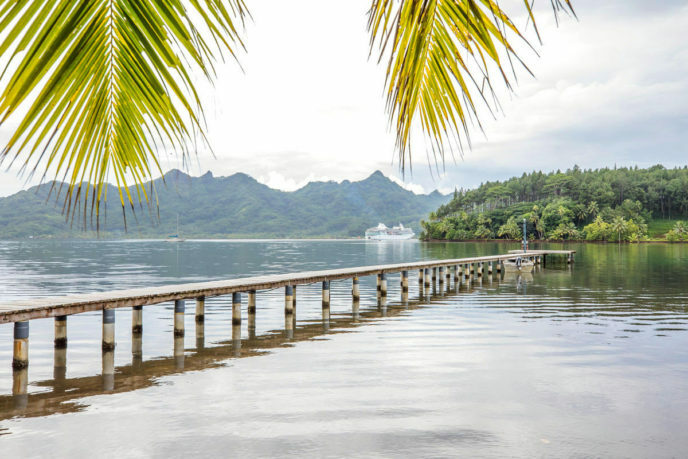 The Villas Bougainville overlook the bay of Maroe, which splits Huahine island in two: Huahine Nui and Huahine Iti. 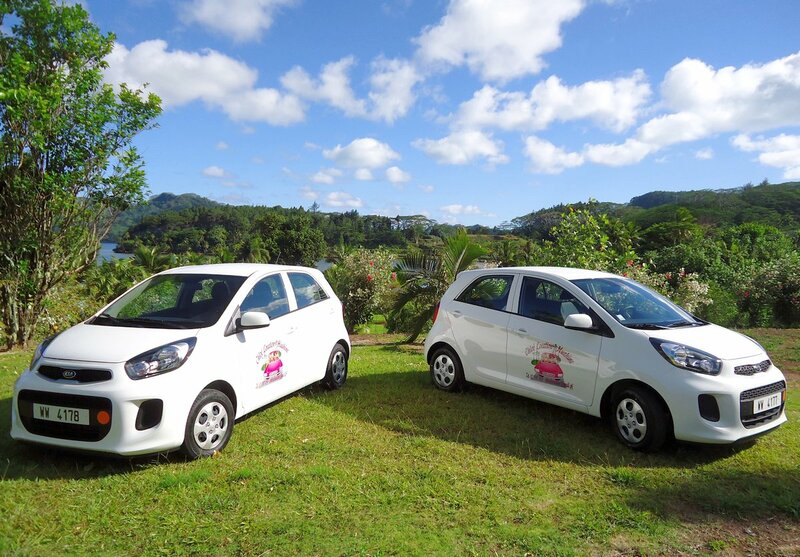 The Villas are located on Huahine Nui (“the big”), so they have an easy road access to the main town of Fare. 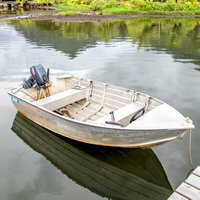 And their central geographic position makes them an ideal base for boat trips. Huahine, with Tahiti, Moorea, Bora Bora, Maupiti, Raiatea and Tahaa are part of the “Society Islands” in French Polynésia.